This gene is involved in color vision. 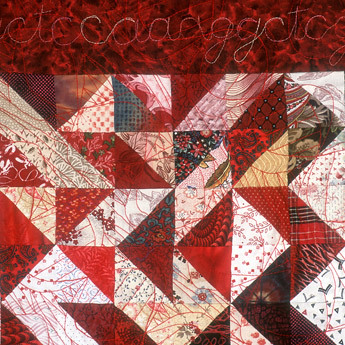 Part of its DNA sequence is encoded in the triangle blocks, which are then quilted in a double helix design. 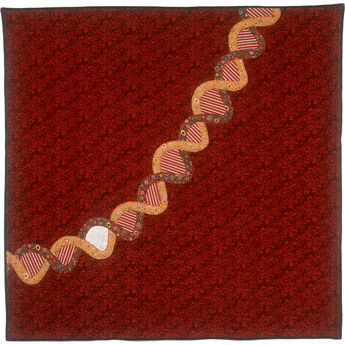 The base sequence and location of the gene are quilted into the border. 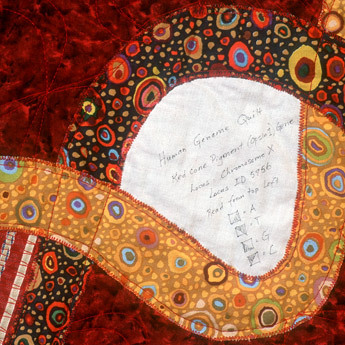 The double helix quilting echoes the appliqué on the back of the quilt.